I have been making hummus for a long time. And I mean a lot of hummus. So much so, in fact, that there have often been times where I have thought to myself, if I never see another tub of hummus for as long as I live it will be too soon. But then I make a batch, and taste the rich, toasted, smokey, tangy, garlicky goodness, and I remember what brings me back to it time and time again. It’s delicious. It’s healthy, it’s easy to make, and people really love it. I often change up the flavor by adding roasted red peppers, basil, roasted garlic, caramelized onions, sun dried tomatoes, or whatever else sounds like it might be good. For my standard recipe, I use enough canned chickpeas (drained and rinsed), to fill the food processor bowl nearly to the top, a third of a cup of tahini, a third of a cup of freshly squeezed lemon juice, four or five cloves of minced garlic, a splash of toasted sesame oil (to really boost the sesame flavor), salt, a splash of extra virgin olive oil (for creaminess) and as many chipotle peppers as I dare. I blend them all together in the food processor until I have a nice, creamy, almost whipped consistency (about 5 minutes). (if the mixture is too thick to process you can add a little bit of water to get mixture going.) I then correct for seasoning, adding more lemon juice, salt, peppers, or whatever I feel like it is lacking, and then blend again for an additional minute. 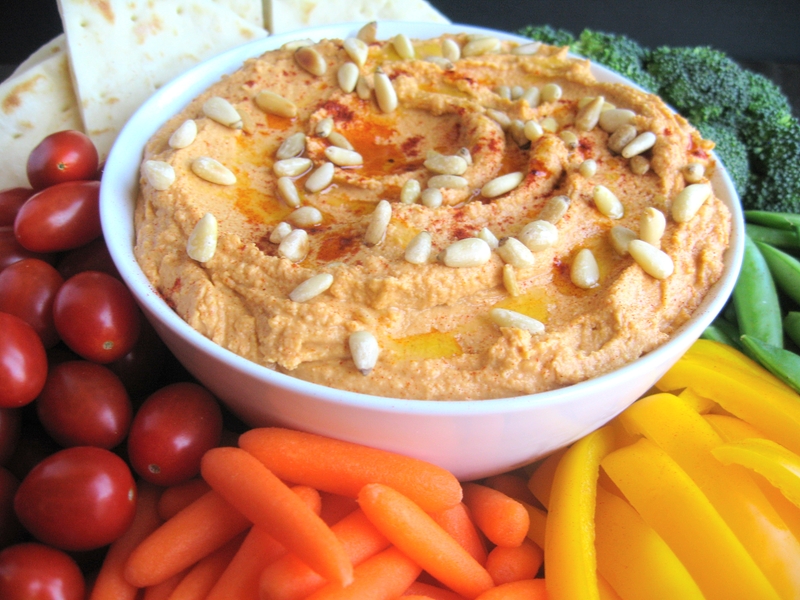 It lasts for up to two weeks in the refrigerator, and makes a great snack along with some pita bread and an assortment of your favorite vegetable crudités. Enjoy! 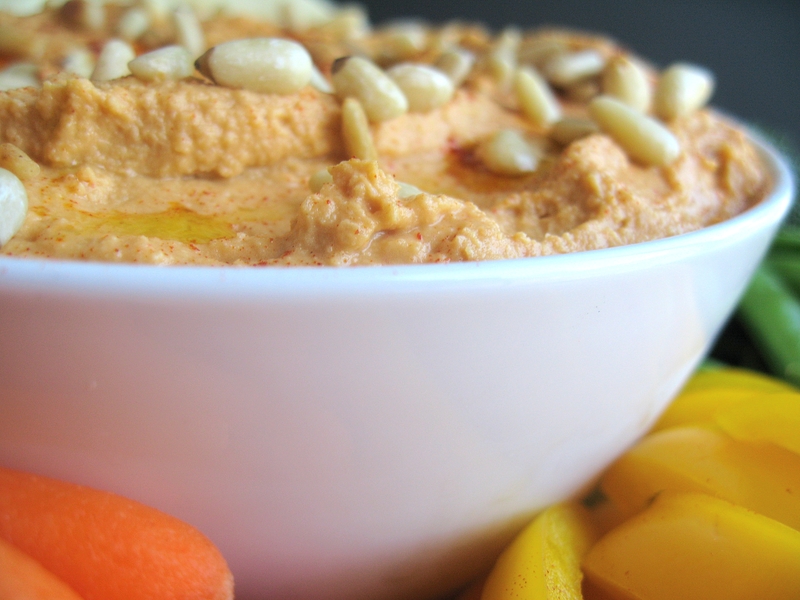 Everyone in our family has his/her own recipe for hummous and we’ve even talked about having a taste-off to crown a winner for once and for all. Mine is very simple (no garlic) but your idea of using sesame oil is brilliant and I’m going to try it! 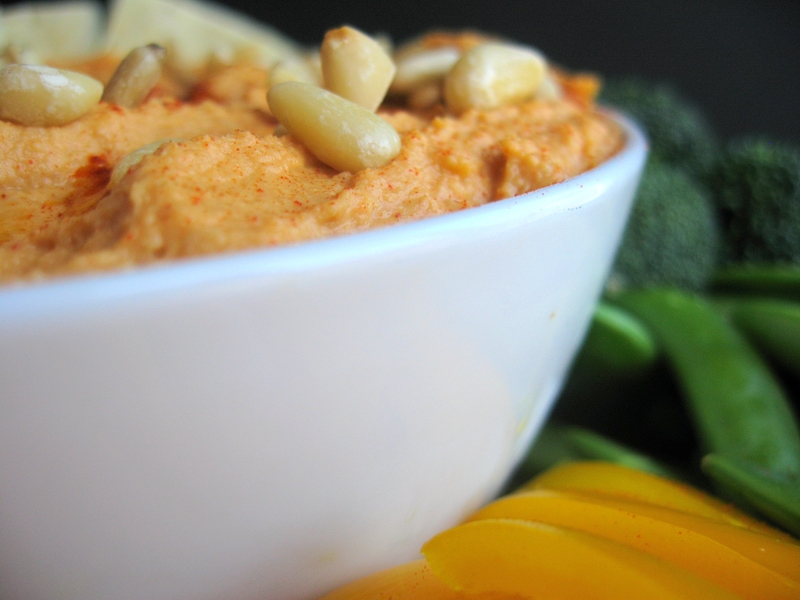 I love hummas…This looks great!